The oldest in my collection tag | Chic first: an elegant view on beauty, fashion and lifestyle. I don’t know you, but I review my own stash quite frequently, trying to clear up things, decide what I really need to buy and what’s absolutely old and needs replacement. 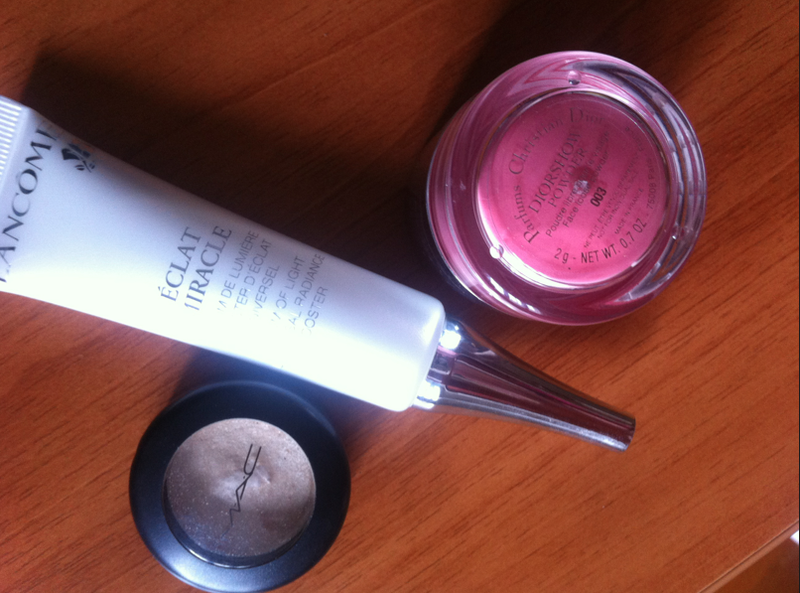 Solicited by Annie’s recent tag today I’m showing you the oldest pieces in my beauty collection. Given that I buy fresh scents for the house every month, I have nothing particularly ‘aged’, so I’m skipping this question, but if you girls want to do your own tag, keep in mind that there’s a part dedicated to house scents as well. My oldest make up item is a shimmering creamy eye shadow from Shiseido in a golden beige, which you can still purchase in the new version. Here for you the link to something similar. Now this was a grand-father to the actual cream pots every brand has been launching. It is very bright, applies easily on the eyelids and is still long-lasting, although it’s now 8 years old. I think Shiseido does wonderful things for both make up and skincare. My oldest limited edition product is the Dior Show Powder in #003 a beautiful pink powder blush you apply on the cheeks with a sponge. The packaging is amazing! I haven’t seen anything similar since the launch of this and it’s a big pity since the blush is gorgeous in both quality and look. I have been ‘saving’ this, rather than using it everyday. It’s so special! My oldest fragrance is Lancome Trésor. ‘The perfume of precious moments’ as the original advertisement used to say. Velvety and romantic, Trésor is a bouquet of roses, dancing with sweet notes of apricots and peaches. Vanilla, Iris, Musk, Sandalwood complete the fragrance with a hot touch of spiciness and mystery. Over the time it has been represented by the classical beauty of Ines Sastre and Isabella Rossellini, who were the testimonials. My oldest beauty tool is instead this blusher brush from The Body Shop. It’s a very flat and soft one, which is good for anybody who’s evident cheekbones, like me. 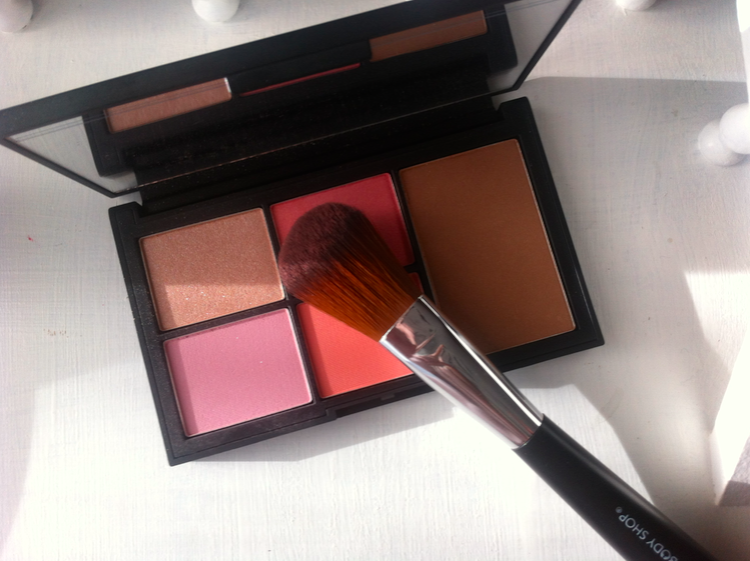 It makes the application of the blush super-speedy and although it’s not expensive, I’ve been liking it year after year. That’s all folks! If you too would like to join the tag, feel free to pick it up and publish your oldest items. I’d like to see those of Polished Couture, Cateyesredlips, Styled with Joy. I hope you enjoyed the reading and I wish you all a nice day. This entry was posted in Beauty, Fragrance, Make up and tagged beauty, blush, brush, chic, chicfirst, Dior, eyeshadow, Fragrance, lancome, Make up, shiseido, The Body Shop, trésor. Bookmark the permalink.